Chinese Medicine and Culture | MedChine a.s.b.l. 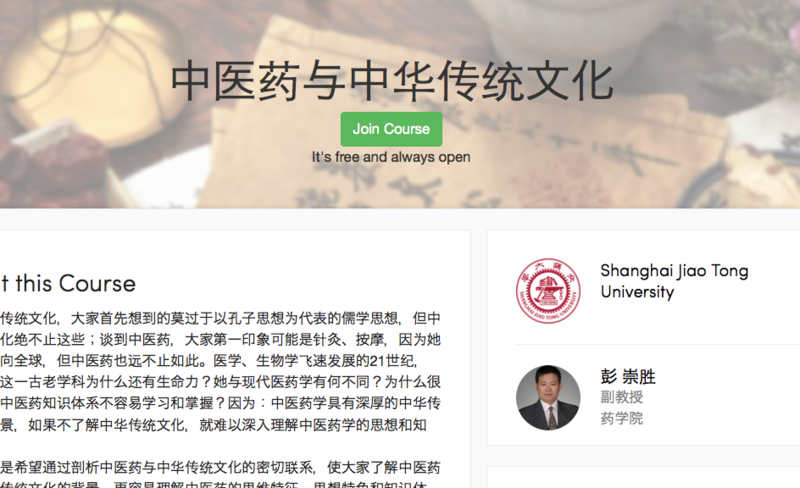 Coursera.org offers a free course about Chinese Medicine and Culture from the Shanghai Jiao Tong University’s Prof. 彭 崇胜. The course is in Chinese, some content has english subtitles, but most doesn’t. There are Chinese subtitles though.